Yesterday was my mom's 94th birthday. She celebrated it with some friends who took her out to lunch. It is one of her favorite things to do, and although she says she is unable to eat, she apparently managed to do a good job on her meal. She doesn't eat much at home because she doesn't want to cook and she doesn't like the food where she lives. Consequently she has lost a lot of weight. It's a rainy, gloomy day today and I have decided to stay in my PJs and do some purging. I am tired of overstuffed closets and cupboards and so it is time for more things to go. It's definitely time for my fabrics to go. 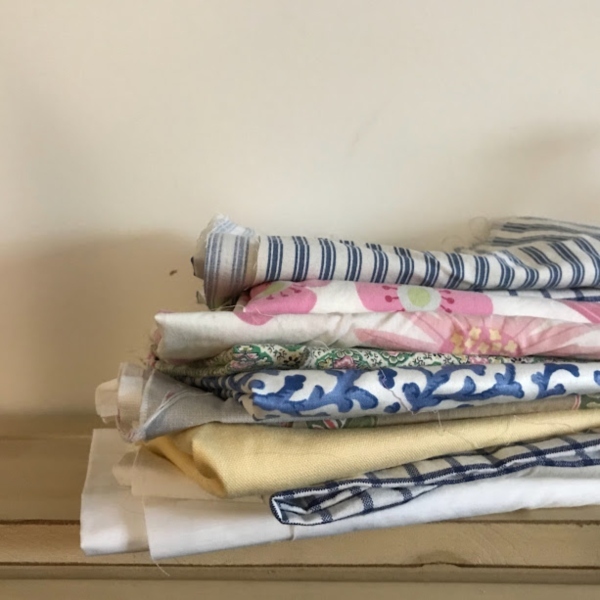 I haven't used my sewing machine in two years so I am putting the fabrics in bundles and I will sell those in my booth. If they don't sell then I will move them on over to Goodwill. I haven't even started to look at my large bag full of vintage notions. Yikes!! 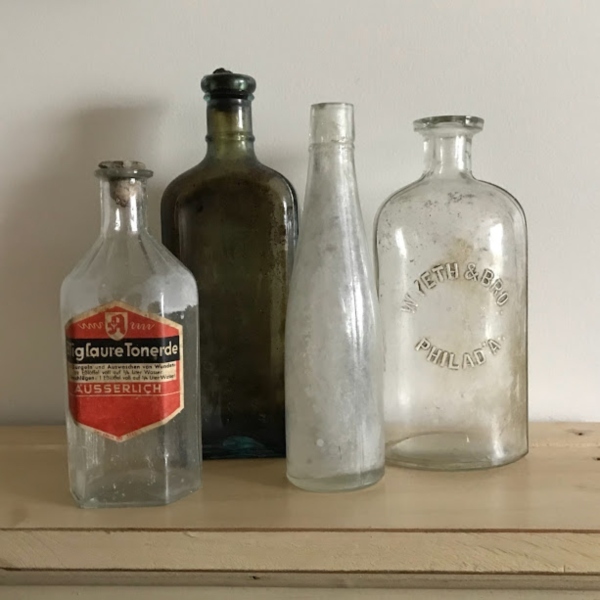 I've been selling off a lot of my bottles in my booth, but now I am going to start selling some of my favorites in 415 Maxwell, however I think I will hold on to my blue bottles for awhile. I can't seem to let those go. I really need a good day of sunshine, when I don't have any other plans to just stay in and take a bunch of photos. I have so many things I need to add to the shop. In the meantime I better get back to work, and I just remembered I have to be at a meeting at 5:00. I guess the pajamas are going to have to go. Happy Birthday to your Mom!! 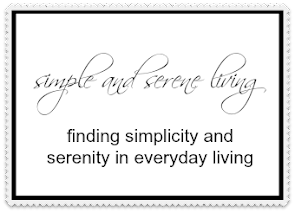 I am working on letting go of things also but doing it at a much slower pace then I had hoped. Some things are so hard to let go! Your mom looks so great for her age. 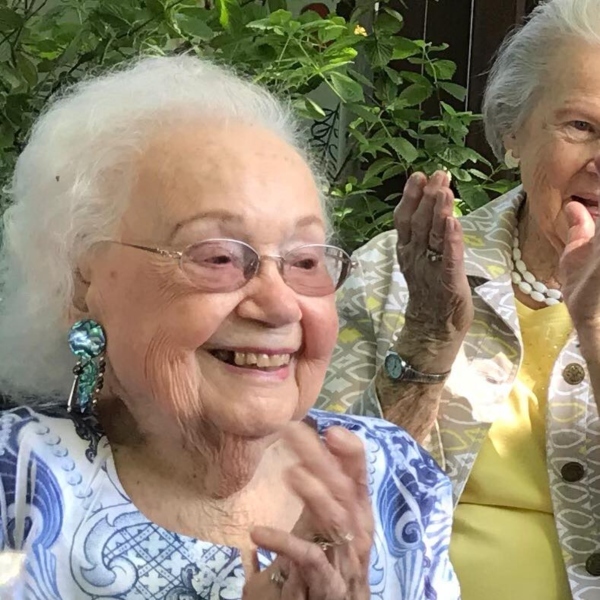 Bravo to her for living her life in full gear and celebrating with friends. My mom has lost a lot of weight too with living along and not wanting to cook much for herself. I think you are right that is part of aging and living alone. Happy Thursday. Enjoy the rest of the week. Happy Birthday to your mom. God bless her. The appetite thing does happen with seniors. Not sure why. I know with my dad who's 83, he doesn't drink water as much. That happens too. Belated happy birthday to your Mom. You might not believe this, but I have been purging too. After a while, it finally becomes tiresome when the closets are overflowing with stuff I either never wear, or ever use anymore. I am amazed at how much better I feel after it's gone and realize that I don't miss it one bit! I weigh my items before I list them and add on a little for packing supplies. I never have any complaints. People want their items to arrive safely. I love vintage sewing supplies. Let me know when you get ready to sell those things. The picture of your mom made me smile this morning. Thank you. I always experience a real freedom in purging things I no longer need or want. I hope your day goes well and that you'll feel lighter at the end of it.